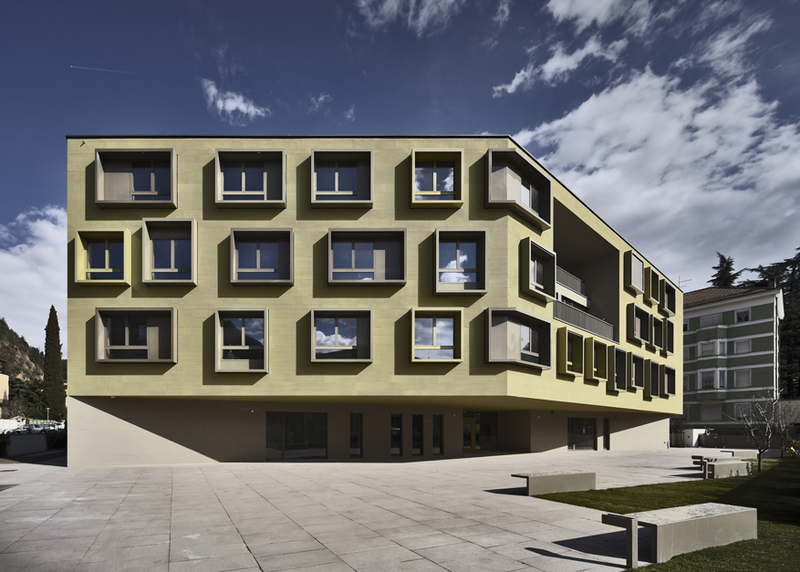 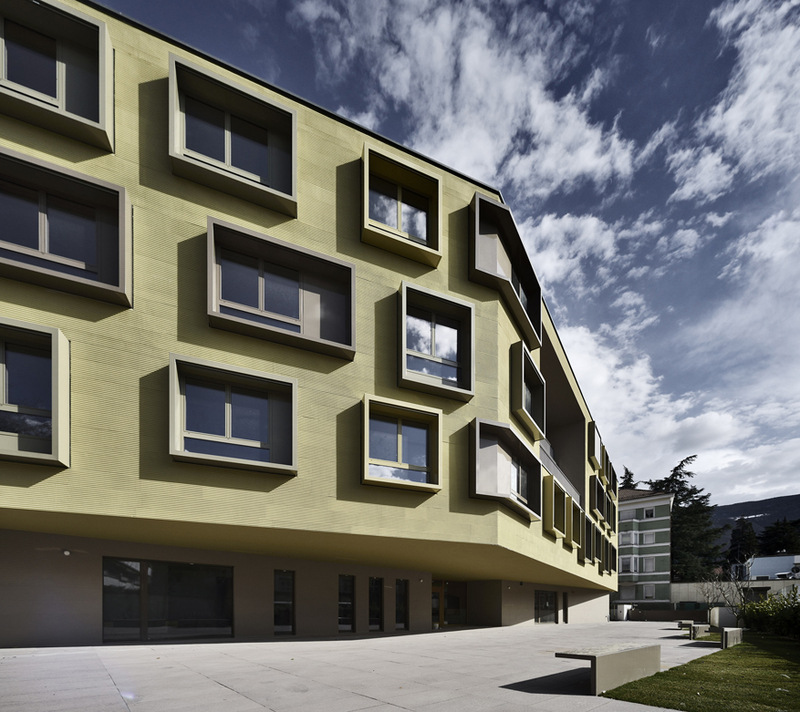 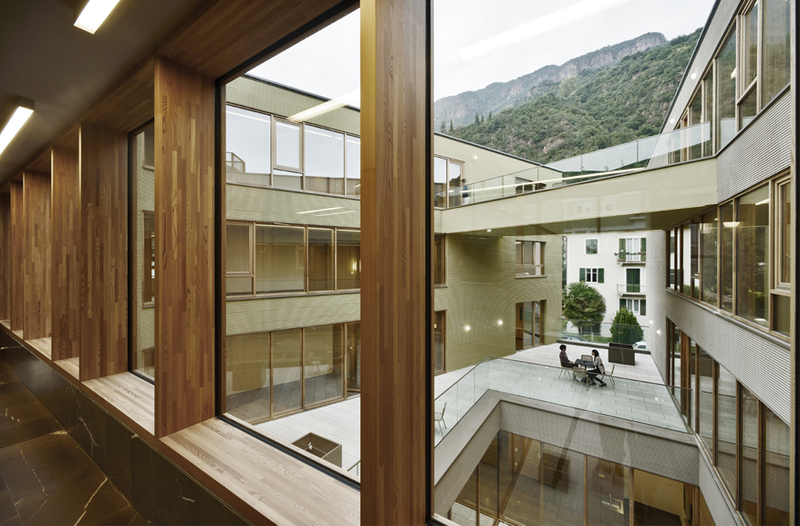 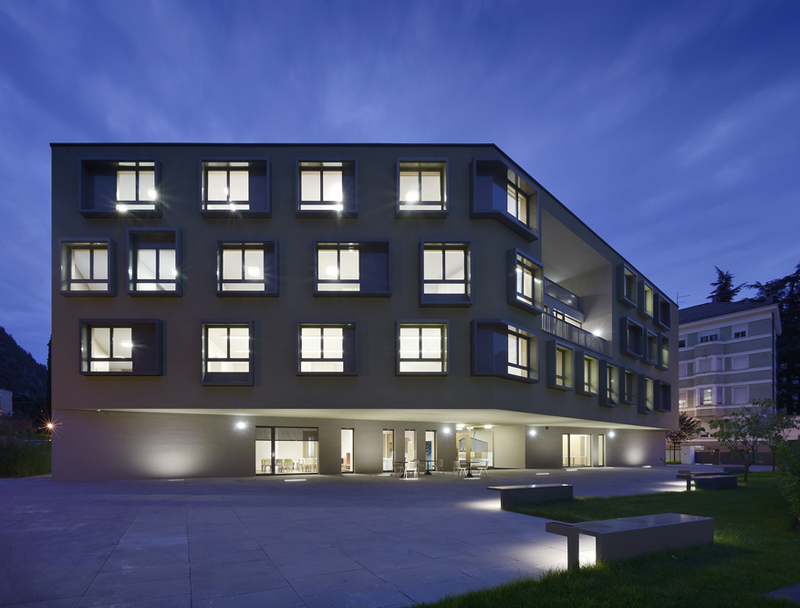 Center for Psychiatric Rehabilitation The new psychiatric rehabilitation center with an independent sheltered housing unit is positioned within the urban fabric of Bolzano’s historically renown Gries residential district. 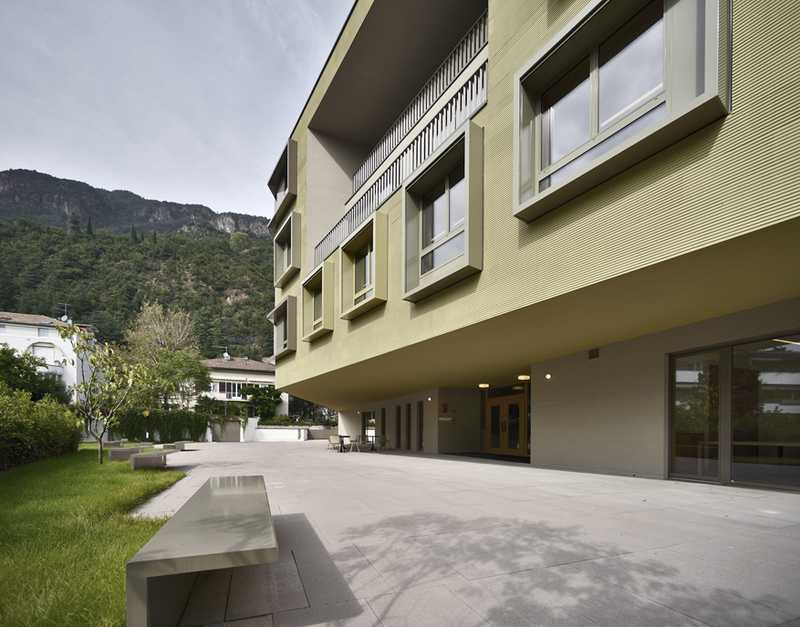 Sited along the neighborhood’s main street, the center presents itself as a residential building rather than a health-care facility and takes on the chromatic character of the surrounding area with a rhythmic palette of earthy colours that have grown to characterize the neighborhood over the years. 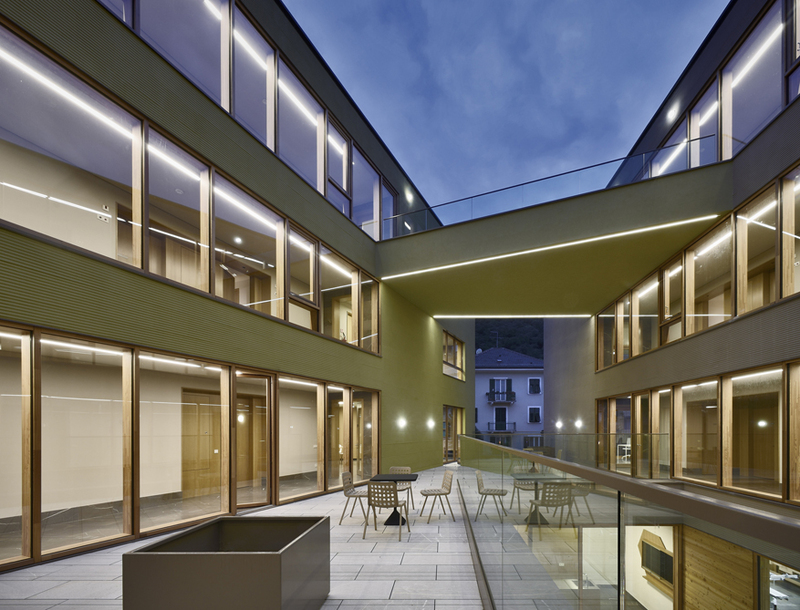 The building is comprised of a base with a rectangular footprint from which two separate, 3-storeyed volumes cantilever outwards to create an inner courtyard open to the sky and crisscrossed by bridging terraces. 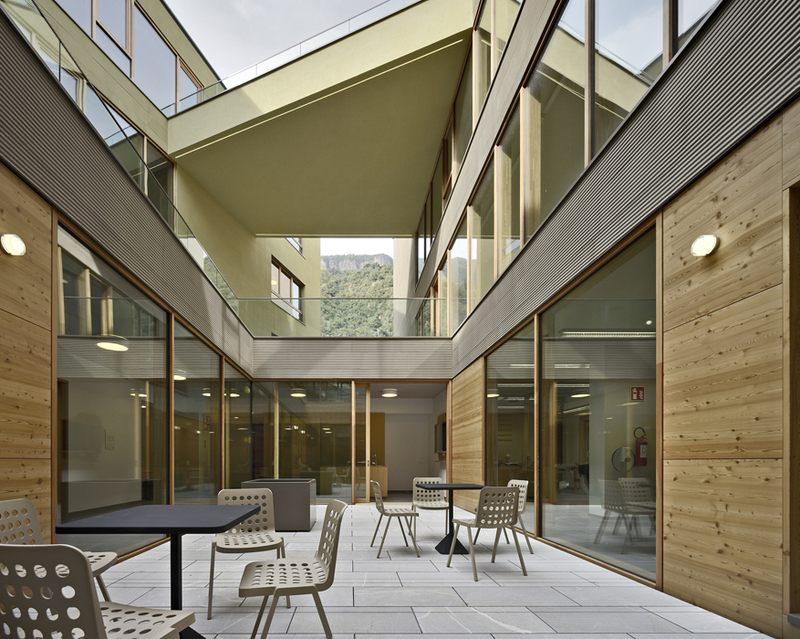 directed move away from the double-loaded corridor typically seen in hospital design, the hallways serving the private rooms overlook the inner courtyard and permit a more airy and sunny environment. 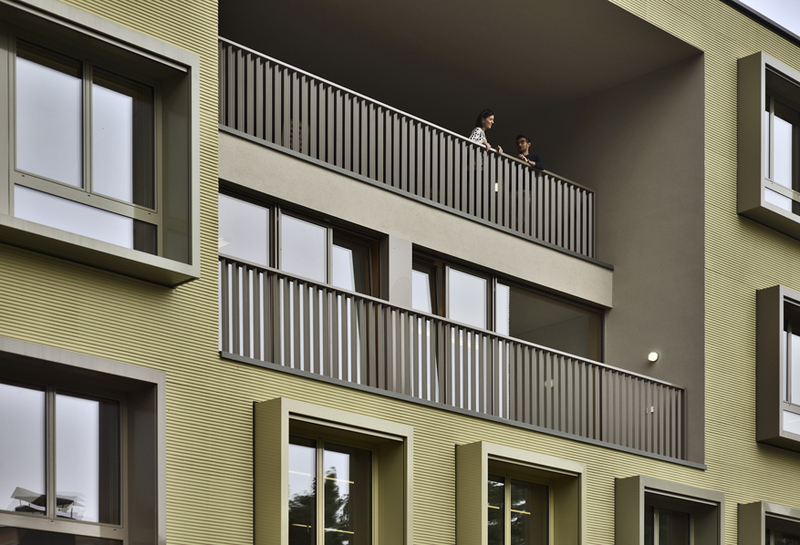 Views across the two buildings promote a connectiveness between the residents without compromising needs for protection and privacy. 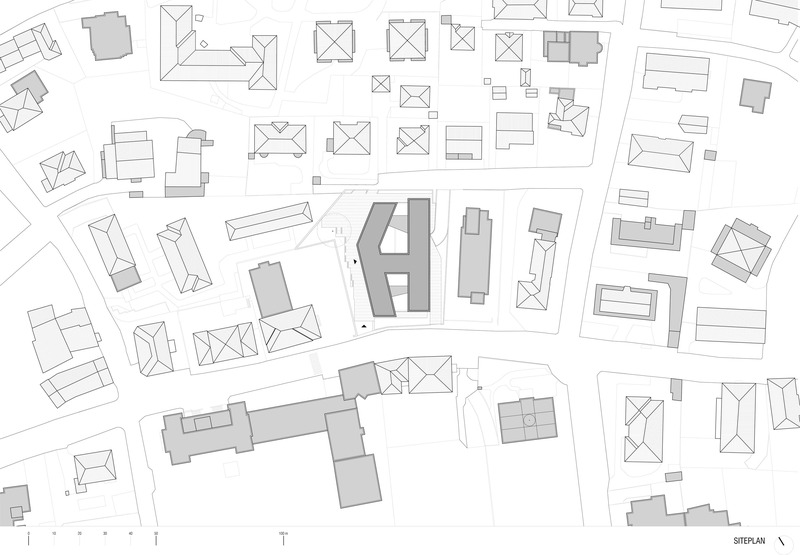 Indeed the call to balance open, social spaces with more domestic, circumscribed places remained a central theme throughout the design process. 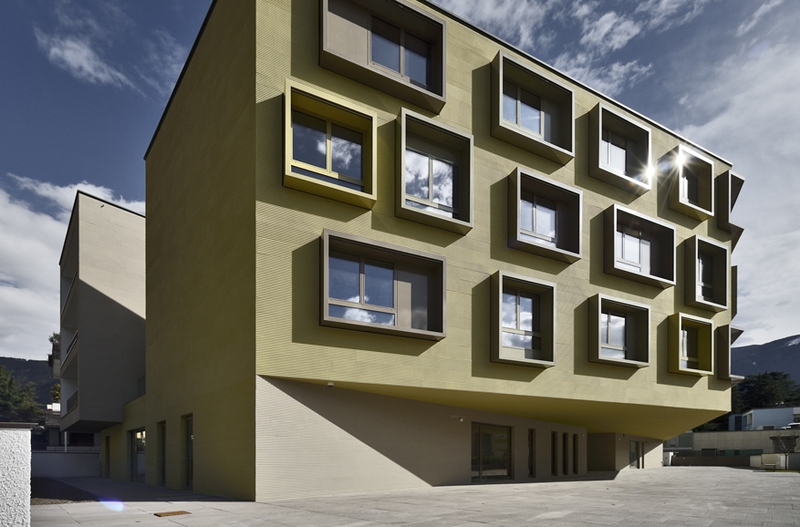 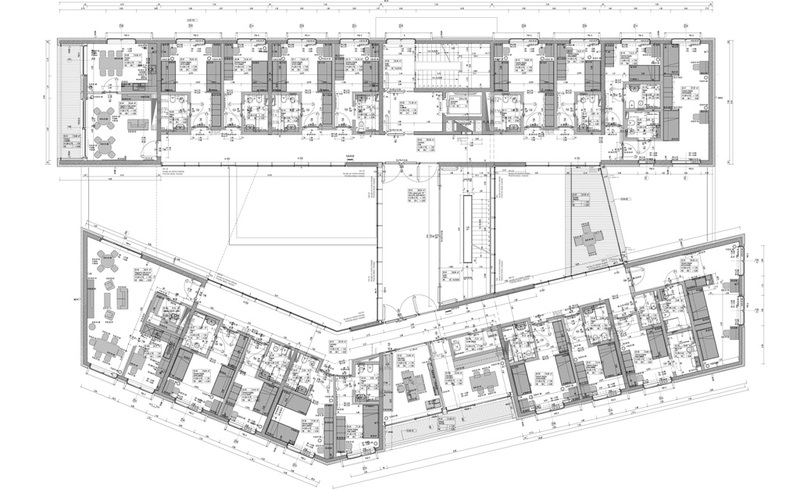 The structural engineering of the building works in tandem with the conceptual framework of the project to ensure a contiguity between the architectural and structural solutions. 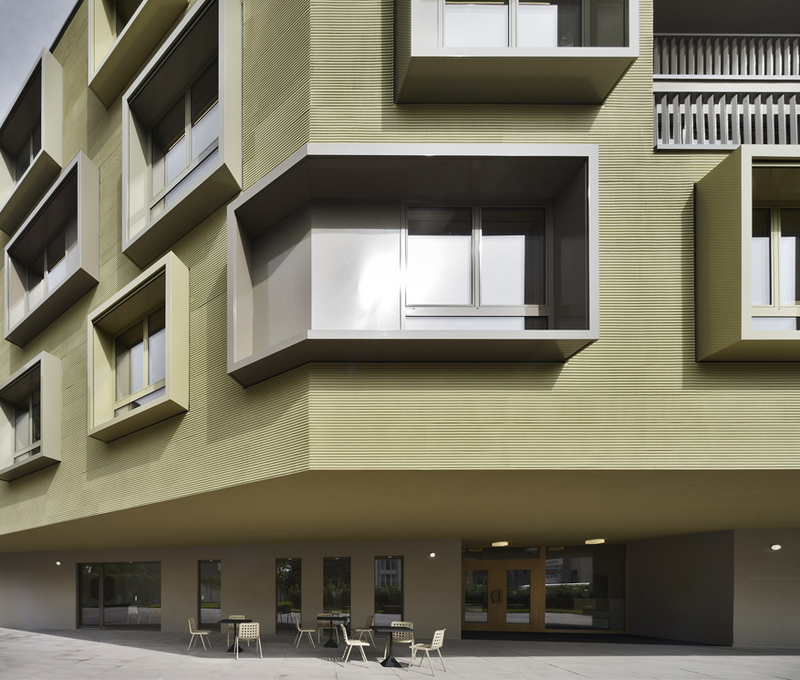 The unobstructed 7m overhang at the ground floor offers not only a covered entryway but also an outdoor social place, protected from the elements. 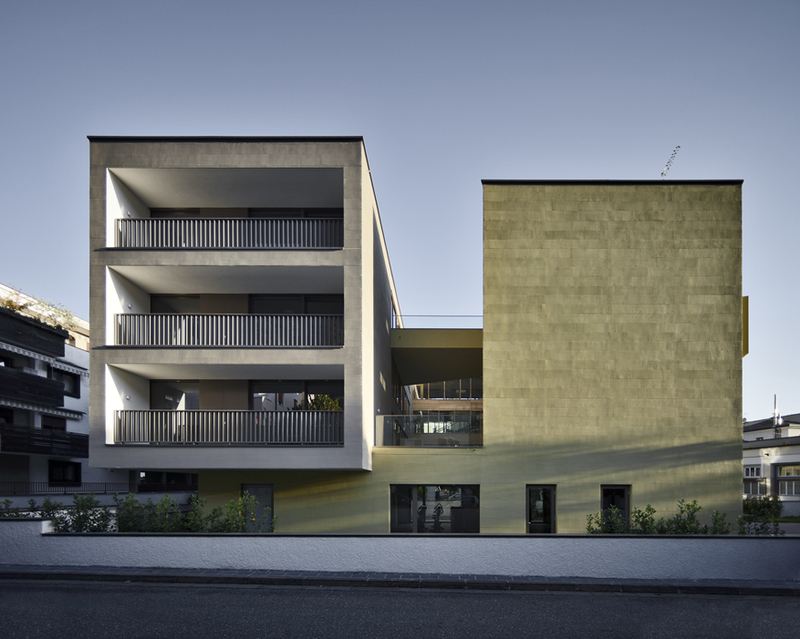 With this asymmetric, cantilevered disposition of the two upper volumes, the three connective elements of the central stairwell and the two bridges act to counterbalance the loads, holding in equilibrium the composite parts of the project. 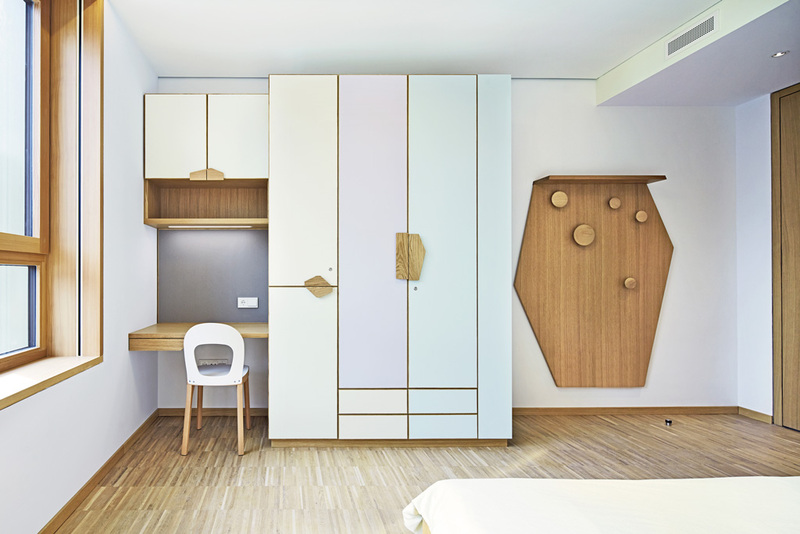 The interiors of the project further develop the residential tone of the center where warm, soft hues prevail. 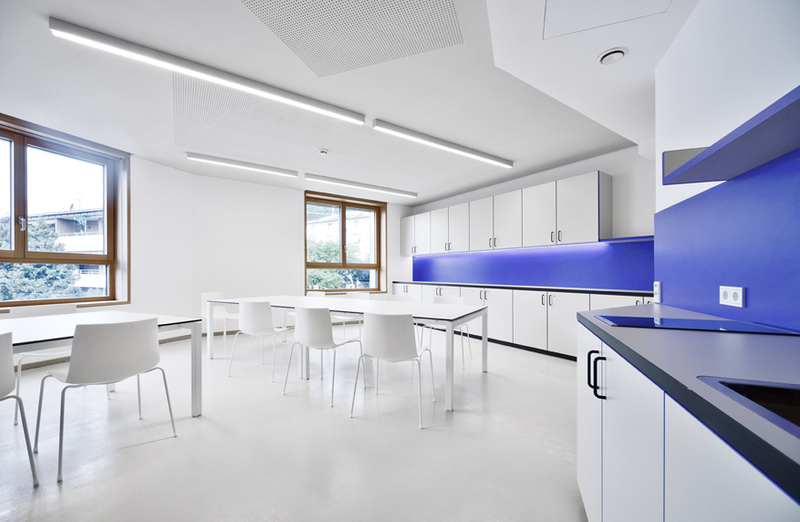 Colourful accents in the common kitchens, laboratories, and living rooms break away from the muted tones of the interiors while the bedrooms make for a light-hearted palette of pastels. 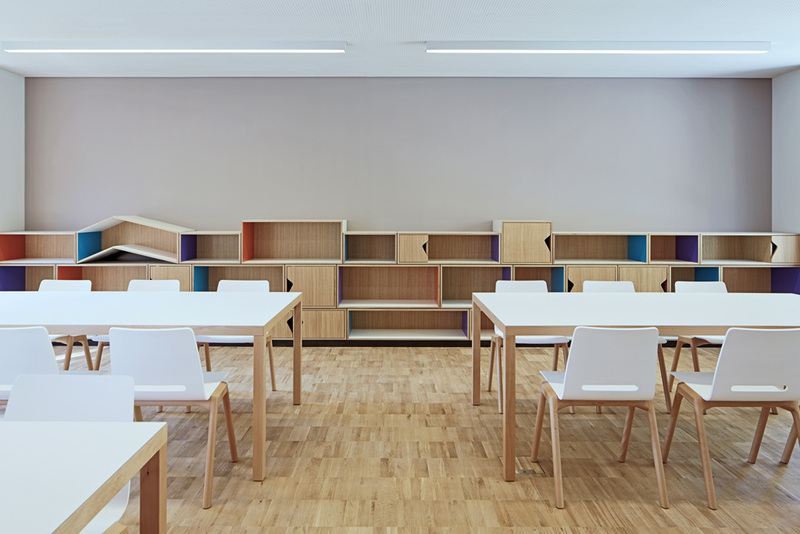 The furniture is largely custom made with a careful detailing of oak and laminate finishes. 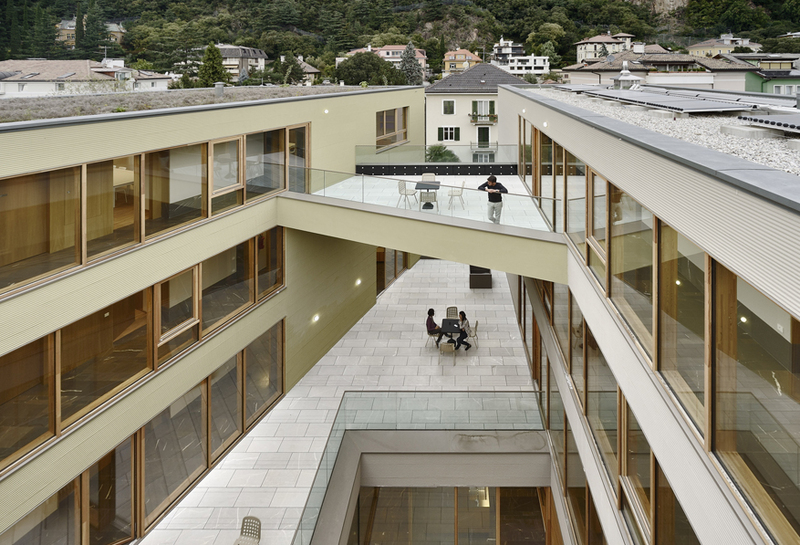 Sustainable aspects of the work Careful budgetary planning enabled the building to fall under the second highest green certification category (Casa Clima A) with an energy coefficient of 16kWh/m²a. 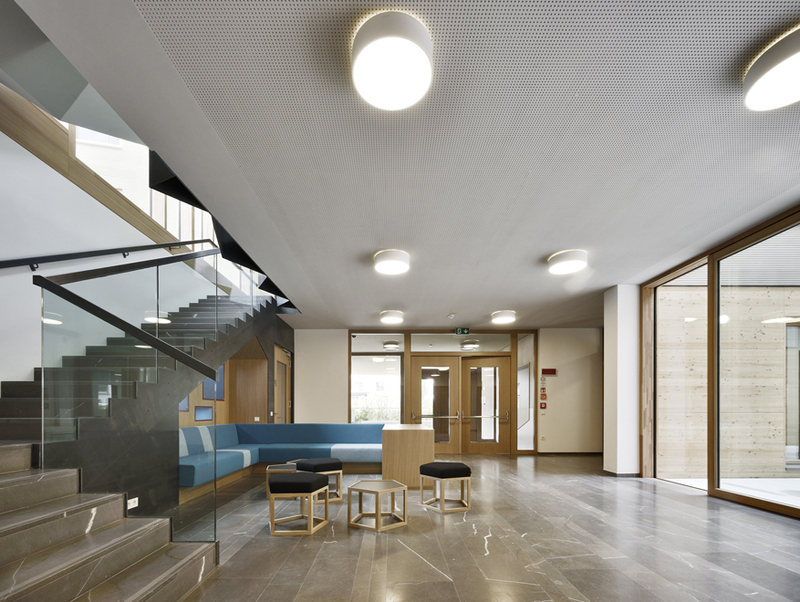 Solar panels, radiant heating and cooling in the horizontal ceiling systems, along with an efficient building envelope contribute to an affordable, easy to maintain, and energy conscious building.